Who You Gonna Call? Doctor Strange! Browse: Home » Who You Gonna Call? Doctor Strange! 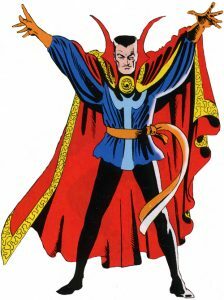 IT WAS A LONG TIME COMING, but the Sorcerer Supreme of the planet Earth has finally made it to the big screen! 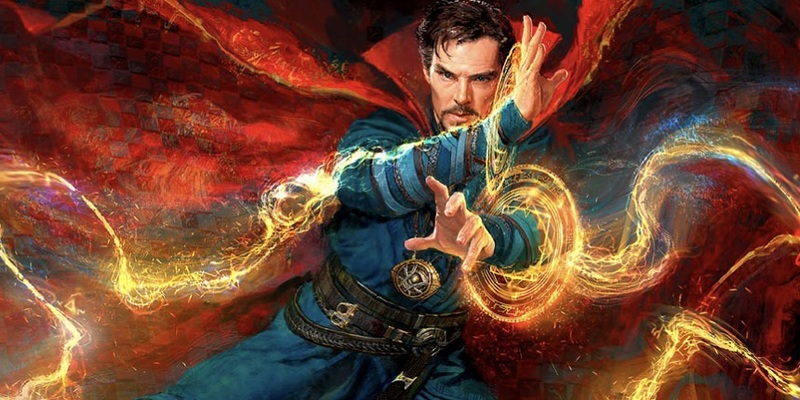 Doctor Steven Vincent Strange, decades-long mystic hero from Marvel Comics is gracing 3-D Cinema all over the world, and raking in the big cash hand over fist… and rightfully so! The special effects are mind-trippingly grand, the cast is adorable, and the story is a breath of fresh air in an already crowded playing field of super heroes. 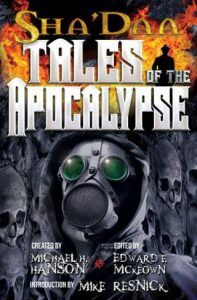 The ultimate underlying threat within this strange tale deals with a demon god from another dimension, a time-honored trope that certainly raises the ghost of H.P. 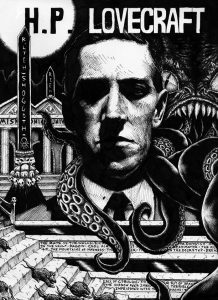 Lovecraft and many of his contemporaries. And yes, shameless as we are here at Moondream Press, Doctor Strange’s bastion of eclectic iridescent magic spells and otherworldly threats is not unlike our very own fast-paced shared-world anthology series, THE SHA’DAA! 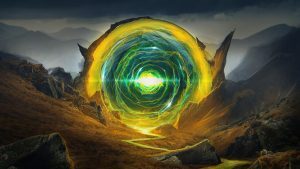 As with the terrible multi-verse slavering at the bit to conquer Doctor Strange’s prized Earth, so do the endless Hell Dimensions of the Sha’Daa series constantly desire to break through the mystical portals and doors that dot our planet’s landscape, ever in danger of being breached. Better known as “Johnny The Salesman,” this mystical being is ageless and possesses powers that border on godlike… but there is always more to him than you can see, including an ancient injunction which forbids him from ‘directly’ interfering in the events of The Sha’Daa. Johnny’s cleverness, however, has found a way around this mystical prohibition, and through multitudes of “trades” he manages to alter the magical outcomes of all manner of apocalyptic confrontations. So if you’re really digging on the cinematic adventures of Doctor Strange, and feeling like reading a lot of exciting stories with a similar flavor, grab up one of our Sha’Daa anthologies and kick back and enjoy a fun romp through mystical, otherworldly adventures!